Arsenal manager Arsene Wenger says he has asked Uefa several times to consider using blood tests to find dopers in football. Uefa uses urine samples as part of its current doping controls. Wenger thinks these measures are not strict enough to catch drugs cheats. He said: "I don't think we do enough, because it is very difficult for me to believe that you have 740 players in the World Cup and you come out with zero problems." "Mathematically that happens every time, but statistically, even for social drugs, it looks like we could do better and go deeper," he added. "When you have a doping control at Uefa, they do not take blood, they take only urine. I have asked many times (at Uefa meetings) in Geneva (for that to be changed)." 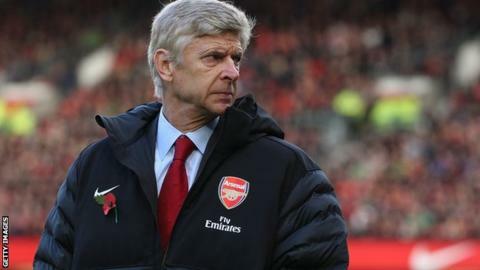 The Arsenal boss says that the governing bodies in the sport are prepared to make changes to doping controls but that it may be difficult because of "ethical problems". He said: "Uefa is ready to do it, but it poses some ethical problems because everyone has to accept that they will check the blood and not everybody is ready to do that."